Air New Zealand is refocusing its comms with the appointment of digital PR specialists Diffusion to handle consumer PR in the UK. Diffusion has taken the brief from six-year incumbent Grayling following a competitive pitch process. The win is a coup for Diffusion, which was established in 2008 by Hotwire duo Daljit Bhurji and Ivan Ristic, along with Google search expert Barney Jones. It is the agency’s first transport client and its biggest account to date. Diffusion’s campaign will aim to build the airline’s brand, and will focus on quality of service, new in-flight features and amplifying Air New Zealand’s ‘Forget all you know about flying’ marketing campaign. The agency will run a sustained media relations and online influencer campaign to promote Air New Zealand’s two key routes – from London Heathrow to Los Angeles and Hong Kong – as well as routes to destinations in New Zealand. 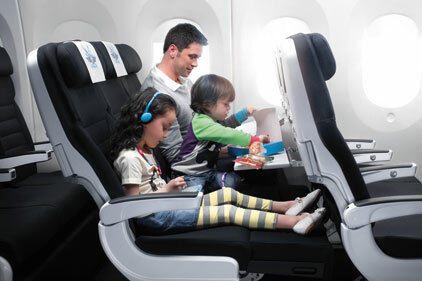 Work will begin with promoting the airline’s Skycouch and Spaceseat products which were introduced to London routes in April. Skycouch turns three individual seats on a Boeing 777 into a single couch, giving economy passengers more space and comfort. Air New Zealand has developed a strong reputation for its use of video virals, and Diffusion will help drive its future digital campaigns. Examples of the airline’s viral campaigns include a new in-flight safety video ‘Fit to Fly’, which turns the standard inflight safety video into a fitness routine. Launched in March, the video had more than one million views on YouTube in only three days.